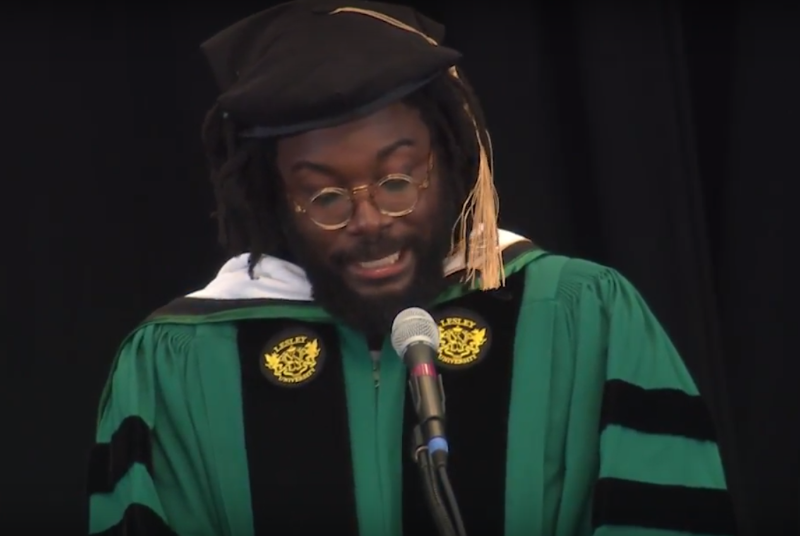 Alumnus Jason Reynolds '00 delivered the Commencement address for Lesley University on May 19th. Jason, a Lesley Creative Writing faculty member who addressed 1,018 master's and doctoral candidates during the ceremony, received an honorary doctorate that morning and a standing ovation from the crowd for his speech recalling his Global Studies class at Bishop McNamara and veteran teacher, Mr. Chris Williams. Jason Reynolds, a faculty member in our MFA in Creative Writing program and a New York Times bestselling author, turned the popular "spread your wings" and "we made it" Commencement messages on their head, challenging Lesley graduates not to fly so high that they lose sight of those who were not given the same opportunities to succeed. By way of illustration, Reynolds, the author of "Long Way Down," "As Brave As You," "All American Boys" and the recent book of poetry "For Every One," shared a story from his high school days, delivered in his trademark spoken word cadence. One day during his senior year, Reynolds' eccentric, neon-polo-shirt-wearing Global Studies teacher, brought in a tropical fish and tasked the class with naming it and keeping it alive. He had only one caveat: The students were never to touch the fish under threat of suspension. A few weeks later, however, Mr. Williams scooped Confucius the fish out of its tank and put it on the floor. Without water, the fish "flipped and flopped and flapped, gasping, inflating, deflating, dying in front of us," said Reynolds. The stunned students stood around the fish petrified until two girls came to Confucius's rescue, picked up the fish and returned it to the tank. True to his warning, Williams sent the girls to the office for two days of suspension, but he also commended them for making the right choice. "Sometimes doing the right things has consequences," Williams told the weeping girls. "That single day with Mr. Williams was the single most important day in my entire academic experience," recalled Reynolds. The incident stayed with Reynolds, causing him to often question what risks and sacrifices he is willing to make, how high he's willing to fly and at what cost to the people on the ground who have been less fortunate. "What good is it for me to fly so far above them, when they'll only look smaller to me the higher I go?" Reynolds asked. "Is there a way for us to tether ourselves to one another? A way for us all to catch the wind?" To use the positions granted them by their degrees would be irresponsible, Reynolds told the graduates, making them "nothing more than paper-thin pedestals, talismans of ego." Instead, Reynolds' offered a revised, more responsible and inclusive version of the winged metaphor. 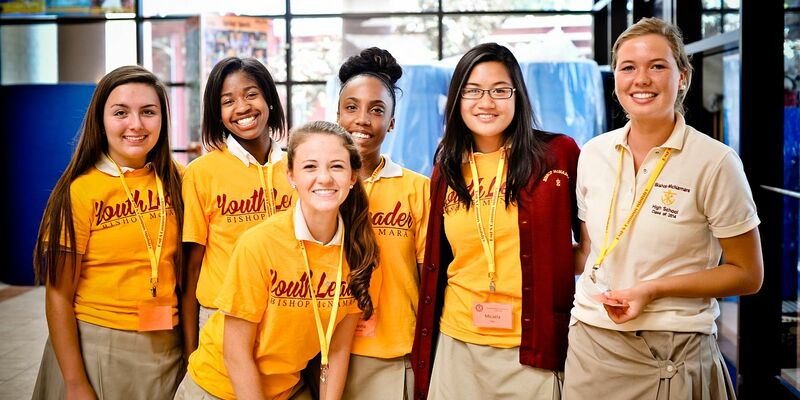 Graduates should still spread their wings, but rather than trying to get as high as possible, they should "spread them as wide as possible, and in every direction, and ask if anyone else could use a feather or two." "Maybe then," he said, "more of us might also have a moment to say, 'We made it,'" as he received a standing ovation.